Q&A: "What is a False Twin Flame and does the Universe test us?" LaToya: Is there a such thing as a “false” Twin Flame? I’ve had someone in my life for two decades… We broke up and got back together time and time again. I’m convinced he’s not my Twin Flame, but is there some sort of Universal lesson that relationships like these are teaching us? Thank you so much for this important question, LaToya! This is something I’ve encountered both on my own path and in coaching hundreds of other Twin Flames. On our path towards Twin Flame Union we often arrange to meet soul mates and “mirrors” of our Twin Flame – what you could call a “Karmic Twin Flame” or a “False Twin”. The purpose of this is to give us a chance to work out our issues with these individuals before we meet our true Twin Flame in unconditional love for our reunion. 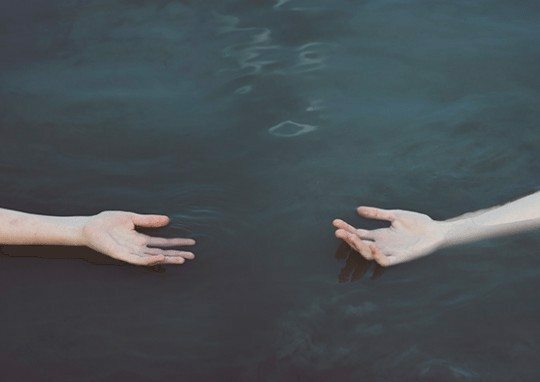 My own personal experience mirrors this; I met my very close Soul Mate at a young age and we were so in tune and extremely similar to the point that we would blurt out the same thing at the same time and our horoscopes were eerily similar – if I had known about Twin Flames back then, I would very likely have believed he was my Twin. Similarly my Twin Flame had a long-term relationship in life with a person who had extremely close personality traits to me, someone of a very similar energy. This is something most Twin Flames plan for themselves, to get the chance to resolve karmic patterns and learn about the different facets of love before coming together one final time. After having encountered this phenomenon in intuitive sessions with other Twins and Soul Mates it is clear that these people provide a preparation for the encounter with our True Twin, by allowing for karmic patterns to work themselves out in a “safe testing ground”. 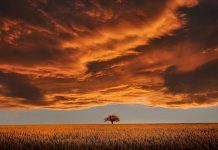 Often these Soul Mates push us to evolve and these relationships can be uncomfortably intense at times (that’s not to say that the Twin Flame relationship cannot be intense and challenging..!). The role of “False Twin Flames” and “Karmic Twin Flames” link in with the whole Awakening and Twin Flame Ascension process – they are in our life to push us to grow, to release anything that stands in the way of unconditional love. They are there to teach us something. Alternatively to begin working with your energy download my Free Twin Flame Help Kit which is a selection of my full Program. In terms of differentiating between a “False” and a True Twin Flame: On a soul level we always know exactly who our Twin Flame is and recognize them instantly based on the fact that their energy is perfectly identical to ours in terms of its vibration. You could say Twin Flames have the same “soul song” or vibrational frequency. No one else in the whole Universe shares this exact same energy frequency. However, the mind and the earth based ego is nearly always dominant in our perceptions here on earth, and our analytical faculties get into doubt about this connection and might mistake a Soul Mate for a Twin Flame. Your heart will help you feel the truth of this. Whenever you encounter any doubt, the advice spirit gives is to relax, meditate to silence your analytical mind, and then tune into your intuition more and more. Because the truth is that you know your Twin Flame. Their energy is a perfect match to yours. 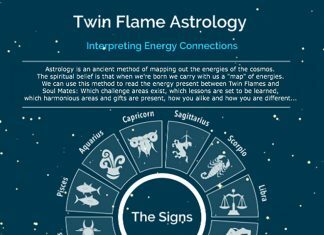 Here is how energy works in terms of Soul Mates and Twin Flames. Imagine an energy orb composed of two identical halves – this is you and your Twin Flame; originally one, now expressed as two. Around you, there are more circles to the energy, like ripples in water when you throw a stone, growing wider and wider. These wider circles represent Soul Mates, who are similar to us in terms of energetic frequency, but are not identical. Only our Twin Flame is identical. So what happens is that as you experience life on earth you take on energy and patterns and karma that block your true harmony with your Twin Flame – energetic “baggage” that pollutes your shared Twin Flame frequency. In order to clear this and be ready for complete union in unconditional love, we arrange with others to meet in life and act as “evolution helpers” to us and us to them. Soul Mates and “False Twins” trigger and stir us to release any negativity and get over any harmful patterns, so that when we meet our Twin Flame we are free. We in return help them prepare for their own Twin Flame Union or to learn about love. Therefore I would choose not to describe this as a “False Twin” but something more positive, such as a “Pre-Twin” or a “Soul Mate Helper”, because these interactions have a very clear beneficial purpose. Often we have known these people before, and sometimes they can be past lovers we have very strong connections with. Thank you again for this important question, LaToya, I hope you find this answer useful! I’m glad to hear you have this special connection in your life even if it’s been on and off – it sounds like you have a very close bond that’s there to help both of you on your life journeys.